Mix of stones 1/2in. to 3/4in. in size. 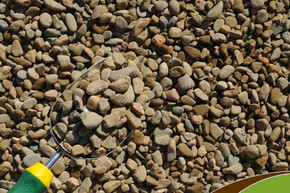 Generally rounded, semi smooth, brownish gray stone. 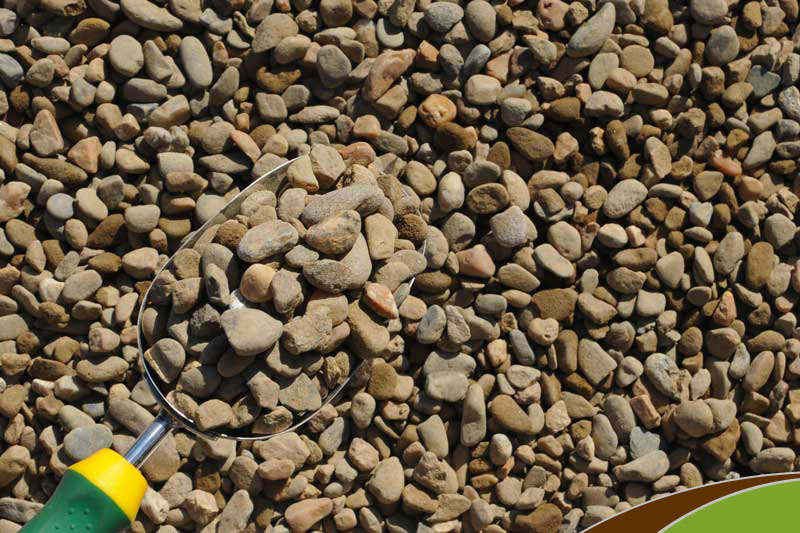 Used mainly in water features or dry creek beds. "USES: Water features, Dry creek beds. " COVERAGE GUIDELINES:1 ton covers an area approximately 125-114 square feet to an average depth of 2 inches. I drew a chalk line box on the driveway where I wanted the gravel delivered and the delivery guy hit the mark dead on; which is better than I expected. Also, the delivery guy arrived within 2 minutes of the scheduled delivery time. Wow!